For those like me who switched from a laptop to another laptop to a desktop, you’ve probably lost your Canon EOS disk eons ago, or it is super out of date. So I went down to hunt for the software download on the Canon site. Luckily, nice people online wrote about where and how to get it. I am currently using Windows 8.1, but Windows 7 (its latest available version) works exactly the same as my OS. Good news! I still use a Canon Rebel T2i, but I’m sure its software spans across other models too (don’t quote me on that). You can download the software here by opening the link and clicking Software. I chose the EOS Digital Solution Disk Software 29.1A for Windows (For users who cannot use the bundled CD) option because it contains everything. It will prompt you for a serial number. If you don’t have one handy, I googled for one (“canon t2i serial number”), which led to me this page that has a whole list of serial numbers you can copy and paste. Mostly this post was made for my own sake because I had to install it on my mother’s laptop (I had hope the SDHC to RAW transport would be faster on that one versus my old and broken Windows 7 – it didn’t make that much of a difference) and my own new desktop. (I had to dig up my Chrome history to find the links to download the software for the latter computer). Hope this helps someone who is also looking for the Canon EOS software. Enjoy! I used to play piano back when every Chinese kid did while going to school. Since Hong Kong had minuscule flats, my parents decided to buy an electric upright piano instead of an actual upright piano. 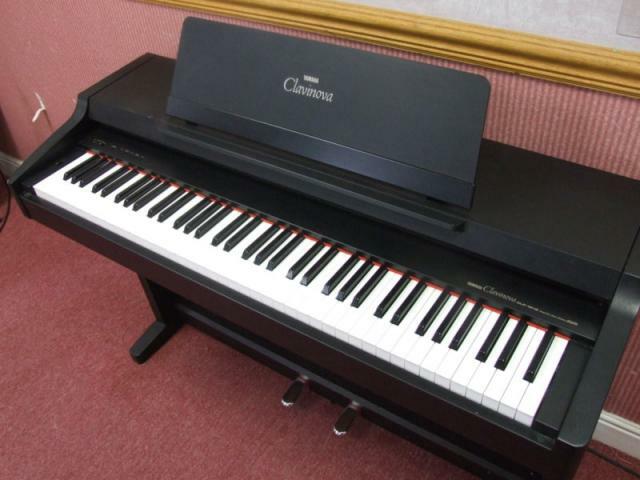 We went to Tom Lee and bought the Yamaha Clavinova CLP-121s. I remember being so happy too… I finally have my own piano! We even brought it with us when we immigrated here. It lasted me until Level 8 of Piano (I don’t know what the official term it is called). It became difficult when I had to start using the right pedals and adjusting to piano on an electric keyboard to an actual one since how hard you press down on the key is different. Recently my mom has hinted at how much we can sell this thing for… I don’t want to throw away my piano!… even though I play on this thing maybe once every few years. Finally I decided to look into using this thing again — this time finding out how to get the sound from my piano to a digital format. I tried buying the Yamaha UX16 for MIDI-to-USB connection. Turns out none of the Tom Lee around has it. Instead the guy over the phone suggested I get the Roland UM-ONE MK2 which provides the same feature. (I assume a lot of companies make these since they are essential to a lot of electric instruments.) After I purchased it, I actually found out you can buy them in your local Future Shop and Best Buy too. Well, good thing I had someone else buy it for me since they only had it in the Downtown Tom Lee. I had it in my hand yesterday! I was so happy to finally connect it to my laptop! As some of you may know, I’m okay with my way around a computer so HOW DID IT TAKE ME 2+ HOURS TO INSTALL THE DRIVER FOR THE CABLE? It turns out the driver they shipped and the driver they have on their website DO NOT WORK. I have Windows 8.1 on this laptop and both the drivers say they are compatible — version 1.0.1. After packing it up into its original box and getting really annoyed at it not working (was it broken? was it my laptop? ), I found a solution… The Canadian Roland site had a version 1.0.2 driver available to download. It worked right away. ARGHHHH!!!! What a waste of my time. I mean, uh, at least it worked? After another online search session, I found Anvil Studio as my freeware music editor that can take in the MIDI input from the cable. After playing around with it and watching the first video tutorial, I churned out the following super short clip. It’s not pretty meh but I’m just happy that I figured out how to get my piano playing onto my laptop AND have it exported with other background beats too. Other than Soundcloud, does anyone use other services to host music? Can I say I love this? Can I praise this series for not following the usual Korean soap drama tropes? I loved this. Love love love. It’s a 5/5, 100/100, A++. The youngest character is 26 years old and the rest are around 34. It deals with adult things. It does not have adults pretending to be teenage students. It talks about divorce and marriage and realistic reality of life. It is just so refreshing after watching two so-so dramas back to back. I even cried at every episode even though they aren’t even that sad. I can’t wait to re-watch this in a few months. Status: If you are looking at more ~adult-related drama, YOU HAVE TO WATCH THIS. Up Next: Posting more reviews!